Kill for Eden are London-based purveyors of classic hard rock, radio-ready riffs, and powerful female vocals. Their music has been championed by XFM (presently Radio X) and Kerrang!, and seen the band likened to Skunk Anansie, Halestorm, The Cult and Garbage. The quartet has released two EPs and a self-titled album, that boasted “blistering riffs, hook-laden choruses, great vocals and a strong selection of tunes” (Fireworks Magazine). Their upcoming second studio album, Petty Crimes, is released in early 2017. Lead single, Love You So was released on November 25th, 2016. Based in London, but with a distinctly international flavor (two Brits, an Australian and a drummer from Siberia), Kill For Eden have been making high-octane heavy rock together since 2011. 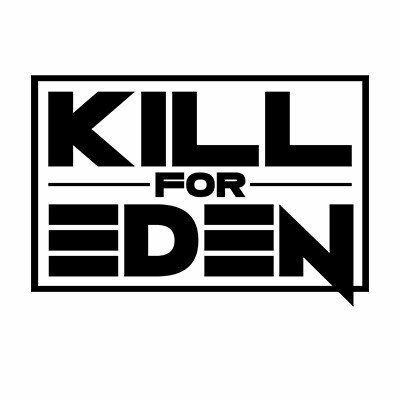 Kill for Eden is singer Lyla D’Souza - a seasoned professional hailing from Australia - Dave Garfield Bown - a veteran guitarist who has toured alongside acts from Joe Cocker to Rammstein - alongside bassist Mike McGuiness and drummer Wally Miroshnikov.